If you’re thinking of replacing the fiberglass insulation in your Knoxville, TN, home, it’s important that you hire reputable professionals. 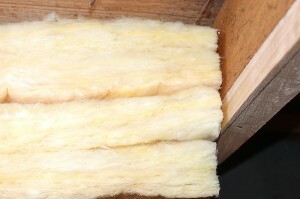 Installing insulation in a home can be tricky, as even small gaps between the insulation can reduce energy efficiency as much as 25 percent. At 31-W Insulation, our technicians are trained in all aspects of insulation replacement and have a long history of completing projects efficiently and flawlessly as evidenced by our A+ rating from the Better Business Bureau. When you want to start enjoying these benefits, simply reach out to us, and we will schedule a free, at-home consultation to discuss your needs and budget, and then review all your insulation options with you. Our world-class service continues during the installation, as our installers will treat your home with the respect it deserves, minimizing disruptions to your daily activities and keeping their work area uncluttered. To learn more about out our fiberglass insulation replacement service we offer homeowners in Knoxville, TN, contact 31-W Insulation today.